It’s truly an honor and privilege for me to talk about some of the challenges we face in Adventist Christian education and some of the opportunities we have to make a difference. I want to begin with a great Thank you for what Christian education has done for me. I want to talk about three major themes this morning: (1) the challenge of youth retention in the Seventh-day Adventist Church and the role that Christian education can play; (2) the challenge we face of providing high-quality education; and (3) the challenge of making Adventist education affordable for our constituency. In 1987, Roger Dudley conducted a study in which he selected a probability sample of 15- and 16-year-old baptized Seventh-day Adventists across the North American Division.7 Dudley attempted to interview each person in the survey population every year for 10 years, and finally at ages 25 and 26. How many of those teenagers who were baptized members of the Seventh-day Adventist Church had we lost? Half. One half. We are losing one-half of our youth in the North American Division.8 This is not one lost coin. This is half of the coins. This is a crisis if we don’t take steps to be more effective in retaining our youth and connecting them to our Lord and Savior Jesus Christ. Chart created by John Wesley Taylor V.
We all have work to do in faithfully modeling what it means to be a follower of Jesus. The time has come for us as leaders of the Seventh-day Adventist Church to reaffirm the central role of Christian education as part of the evangelistic mission of the church. I emphasize the evangelistic mission of the church because Christian education is a part of that. What are three predictors that Roger Dudley found in the youth who were 10 years later committed to the Adventist Church in his study of North American Division young people? Youth who saw the church as relevant to their lives were still committed 10 years later. That is, youth who regarded Sabbath sermons in their church as interesting and felt that their church met their spiritual and social needs. Youth who had a grace orientation regarding salvation also remained committed. Someone with a grace orientation believes that salvation is based on what Jesus has done for us, not on what we do for ourselves. Enrollment in a Seventh-day Adventist college was another predictor of those young people who remained actively involved in the Adventist Church. We also have a challenge of providing high-quality education. Years ago, if you opened a Seventh-day Adventist school, Adventist parents sent their kids to that school without question. Today, Seventh-day Adventists have come of age. Like those before us, we want the best for our children. I know many Seventh-day Adventists who are products of Christian education and who now believe that Christian education is not good enough for their children. I encounter these parents, and they want to know how they can get their children into the Harvards and Yales of the world. They believe that Adventist schools do not provide the academic rigor that will make their children competitive in today’s world. One challenge, I believe, is that many Seventh-day Adventist parents are using secular criteria to determine what is best for their children. And I would say to them, “What shall it profit someone to gain the finest education the world has to offer and lose his or her own soul?”12 We have a pastoral responsibility, as a church, to educate our members about the value of Christian education. At the same time, I honestly believe there’s another side to that coin. At many of our Adventist schools, there is room for improvement. Too many of our schools are run by administrators who lack vision. Our constituencies have changed. Today, parents are looking for excellence, and I believe that we shouldn’t criticize these parents. They are looking for exactly what God is looking for. He wants our schools to be the best! He is also looking for excellence. God wants us to be the head and not the tail, and He places no premium on mediocrity. What are some of the challenges of addressing equality and access in Adventist education? One challenge is the cost of Adventist education, and the low socioeconomic status profile of many Adventist households. I have data only for the North American Division, but I think these are common issues around the world. In 2008, the median household income in the United States was $50,000, and the poverty line was $22,000. Forty percent of Seventh-day Adventists in the North American Division in 2008 had incomes close to the poverty level, and 70 percent (seven out of 10 Adventist families) had incomes below the median level of the country13 (see Figure 2). We are facing a constituency that is not rich with economic resources, and we have to figure out ways to make Adventist education affordable and within their reach. Historically, Adventists have recruited the majority of its new members from the lower socioeconomic status groups in our society, but with our emphasis on education, the second generation of Adventists has typically transitioned into the middle class.14 The bottom line is that around the world, many Adventists, especially recent converts, come from the poorer sectors of our society, and we need to think of what can be done to make education available to them. 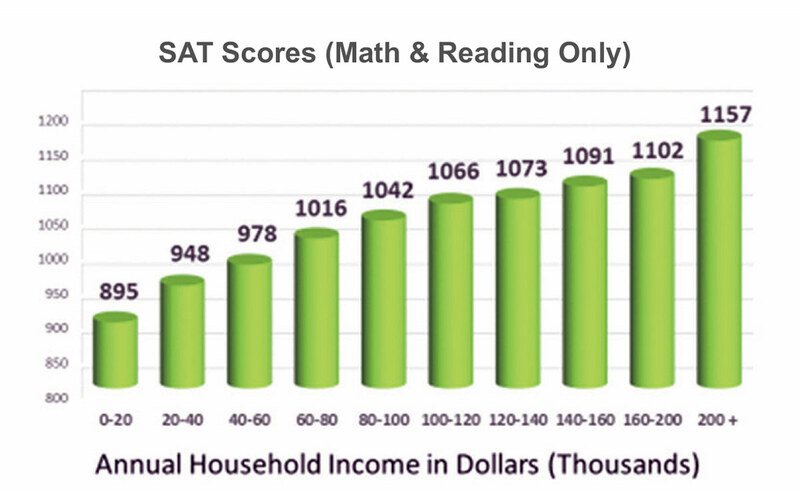 In the United States, one of the aptitude tests students take at the end of high school is the Scholastic Aptitude Test (SAT), which many observers refer to as “The Student Affluence Test” because of this graded, straight-line relationship between levels of family income in America and SAT scores. National data for SAT scores in the United States in 2014 revealed that higher family income was associated with higher academic performance.16 So, academic performance is directly linked to the economic resources of the household (see Figures 3 and 4). • The Primacy of Teacher Quality. Based on the existing scientific research, what is the key to academic success? Excellence is not produced by chance. The single biggest predictor of superior student educational performance in the United States (where these studies have been done) is the quality of instruction provided by their teachers. Research shows even economically disadvantaged children who are taught at high levels achieve at high levels. Given the right teacher, the right classes, the right support, all of our students, regardless of their economic background, can perform well. 19 So, this is a call to excellence in the way we prepare our teachers, in the way we prepare our principals. And this is simply following the example of Jesus. God is calling for our teachers to be a key part of the gospel commission—a calling as important as that of pastors.22 Teachers are preparing God’s children to sit on thrones (Matthew 19:28 and Luke 22:30). Imagine how teachers in your division would approach their job if they knew that Jesus, the majesty of heaven, was going to be a student in their class. Jesus is, indeed, in their classes, because He said: “‘Inasmuch as you did it to one of the least of these My brethren, you did it to Me’” (Matthew 25:40, NKJV).23 We need to create a new vision of the opportunities we have to educate His children. We need continuous quality improvement. We need to make a long-term and tangible commitment to improve the quality of teaching in Seventh-day Adventist elementary and secondary schools. We need a systematic plan to evaluate, nurture, and to monitor our primary and secondary teachers, and to enhance their skills. And local conferences that desire to have schools of excellence must have the courage and the backbone to remove teachers who are still not doing an outstanding job of teaching after having provided them with all of the resources to improve. We will never have a quality system if we are not willing to make tough decisions. • The Role of Universities. Seventh-day Adventist institutions of higher learning have a role to play in strengthening teacher quality. Many teachers in elementary and secondary schools are being asked to provide instruction in subjects for which they are not adequately trained. In all of our divisions, we have institutions of higher learning, and we need to build programs that support K-12 teachers (see Box 1). We need to strengthen and expand globally so that we can enhance the quality of instruction of all of our teachers. Loma Linda University, in collaboration with six other Adventist institutions, started the Excellence in STEM Experimental Education Program (EXSEED). This one-week summer program brings selected K-12 educators from Adventist schools to the Loma Linda, California, campus to enhance their skills and their teaching of math and science. The Apprenticeship Bridge to College program, established by Dr. Marino De Leon, is a high school summer research program at Loma Linda University. Funded by the National Institutes of Health, this eight-week summer internship program provides high school students with hands-on research experiences in the biomedical field, enrichment in areas that will strengthen their performance in the biomedical sciences—math, English, analytical thinking, and scientific communication, and seminars on health disparities in underserved populations. The program prepares young people, Adventist and non-Adventist, from the San Bernardino, California, community and nationwide, and gives them exposure to learning experiences they did not have in high school. As a result of this program, 80 percent of past participants are pursuing degrees in a scientific discipline. Loma Linda University's Undergraduate Training Program (UTP) is a nine-week summer research internship for undergraduate college and university students. The goal is to increase the number of biomedical and physician scientists from diverse backgrounds involved in research to help eliminate health disparities. Participants receive practical lab research experience under supervision of a faculty mentor, and present their findings at the Health Disparities Research Symposium, which takes place at the end of the session. The program is funded by the National Institutes of Health and the National Institute on Minority Health and Health Disparities. Participants in the UTP program are selected from colleges and universities nationwide. Summer Bridge at Southwestern Adventist University in Keene, Texas, is an intensive three-week session designed to help at-risk students prepare for college. All invited students meet one, but not both, of the two academic entrance requirements for regular admission (GPA and SAT/ACT scores). The program is designed to help close the gap between current skills and those necessary for college success in the areas of reading, writing, math, and study skills. Participating students receive one unit of academic credit (in kinesiology) for the three-week program. The quality of our academic programs varies. We need to design and test new strategies. We need science-based and principles-based innovation that can lead to dramatic improvement in the impact of our work. Without innovation, we will not achieve our ambitious goals. Someone wrote a book some time ago saying the seven last words of the church are “We’ve never done it that way before.” We need to mobilize the creative talents of Seventh-day Adventists within and outside of our system. We need new ways of thinking, new ways of working; we need a commitment to research-based innovations so we can provide our best to all of God’s children. • Revival and Reformation. This is a call for revival and reformation. We need revival―a renewal of spiritual life, a quickening of powers of mind, a resurrection from spiritual death. We often stop there, but Ellen White goes on to say what reformation is―and most of us are uncomfortable with the definition: “Reformation signifies a reorganization, a change in ideas and theories, habits and practices.”25 When reformation comes, we’ll be doing a whole lot of things differently because we will be doing that which best brings honor and glory to God. She also says: “Those who think that they will never have to give up a cherished view, never have occasion to change an opinion, will be disappointed. As long as we hold to our own ideas and opinions with determined persistency, we cannot have the unity for which Christ prayed. . . . God and Heaven alone are infallible. . . . We have many lessons to learn, and many, many to unlearn.”26 So a whole new openness of mind is needed as we approach keeping to our principles and providing quality. Finally, the challenge of making Adventist education affordable. According to the 2007-2008 Demographic Survey of the Seventh-day Adventist Church in North America,27 the low socioeconomic status of many of our Seventh-day Adventist households in the North American Division (NAD) meant that many parents who wanted to send their children to Adventist schools were unable to afford the tuition payments and desperately needed financial assistance. The same can be said for parents in other parts of the world. Compared to an earlier survey, Seventh-day Adventist membership in the North American Division had increased among the lower-middle and middle class, but declined among households above the national median income. The membership is growing primarily among poorer segments of the population. As a result, under the current funding arrangements, a large and growing percentage of our church membership will be unable to financially afford Adventist education. We need to think of ways we can make Adventist education affordable. The changing demographics of North American Division Adventism highlight this challenge: the decline in membership, trends in ethnicity—a decline in white membership and a growing minority membership. Why is this of relevance? The 59-cents figure for the black population in the U.S. in 2013 is identical to the racial gap in income that existed in 1978. Data on income understate data on wealth and economic resources of households. Wealth includes assets or economic resources (inclusive of property, investments, and economic reserves) that households have. 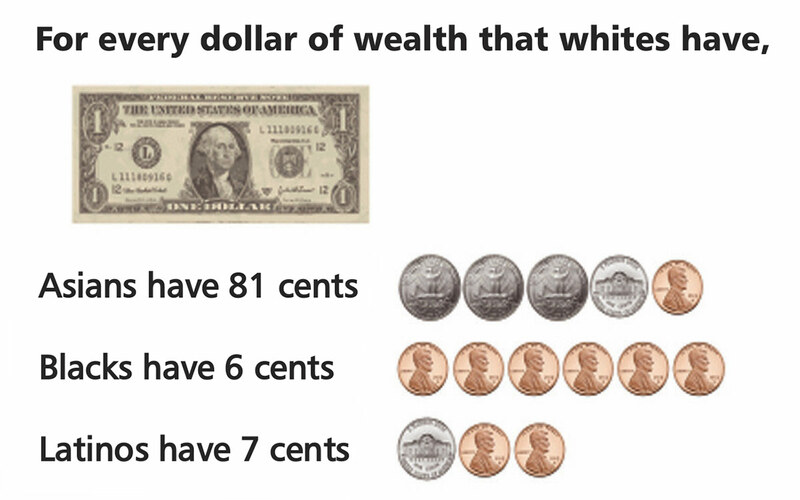 The data show for every dollar of wealth that white households have, black households have six pennies, and Latino households have seven pennies. When we talk about our growing minority membership, we’re talking about populations that lack the traditional economic resources we think about when considering how to pay for Adventist education (see Figures 5 and 6). 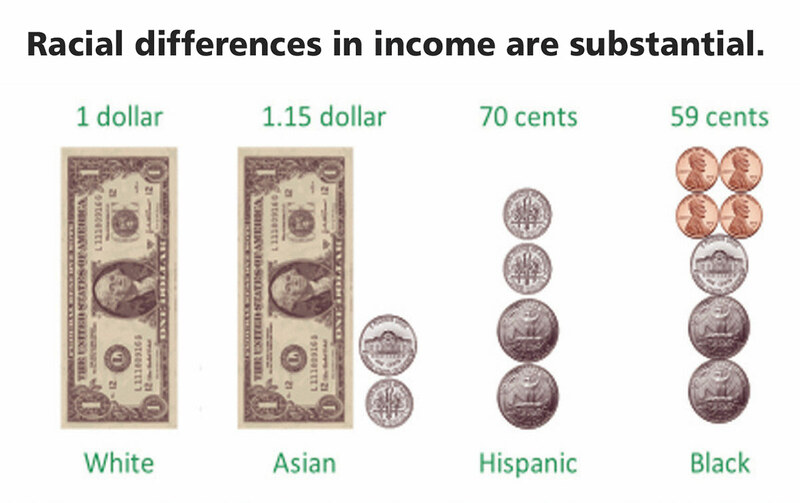 The U.S. is not alone in having income disparities between whites and minorities. 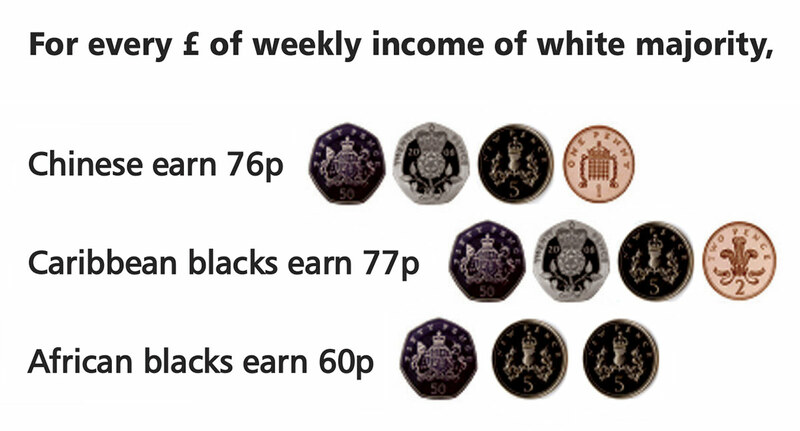 Data from the United Kingdom (U.K.) show that for every pound (100 pence) of income the white majority earns, immigrants earn much less: Other white groups earn 79 pence, Indians earn 86 pence, Pakistanis earn 57 pence, Bangladeshis earn 56 pence, Chinese earn 76 pence, blacks from the Caribbean earn 77 pence, and black Africans earn 60 pence. 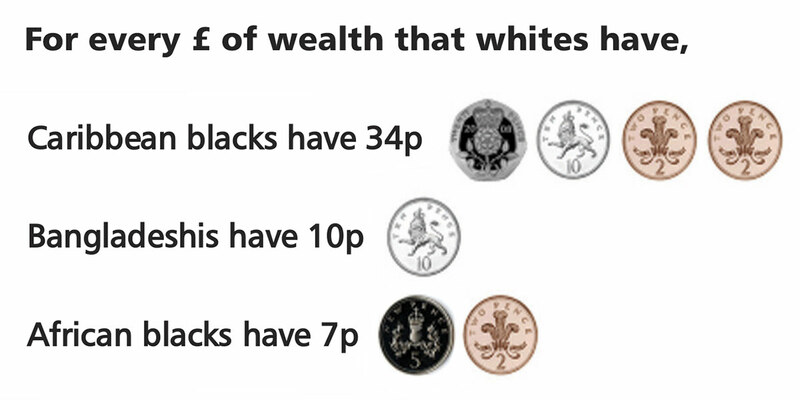 So we see striking differences in wealth, as well, in the U.K. Caribbean blacks have 34 pence for every pound of wealth (earnings combined with assets such as property and investments) whites have, with African blacks having 7 pence for every pound of wealth owned by whites. As we look at our world division fields, and we look at our constituencies, we need to acknowledge the economic challenges they face29 (see Figures 7-9). What does the Spirit of Prophecy tell us? It says: “Worry is blind, and cannot discern the future; but Jesus sees the end from the beginning. In every difficulty [and we are in difficulty in Adventist education] He has His way prepared to bring relief. Our Heavenly Father has a thousand ways to provide for us, of which we know nothing. [A thousand ways to provide funding for tuition in our institutions, of which we know nothing!] Those who accept the one principle of making the service and honor of God supreme will find perplexities vanish, and a plain path before their feet.”30 We need to find ways to rethink what we do. There are alternative approaches to funding that Adventist education may wish to consider: The Five-Percent Solution; The Phaedrus Initiative; The College of the Ozarks/free-tuition model; and the school change model. 1. The Five-Percent Solution.31 Thambi Thomas, formerly associate director of education for the Pacific Union Conference, proposed the five-percent solution and called for an update to the formulas used to support education. He proposed that the church increase its commitment to funding primary and secondary education by allocating an additional five percent of tithe income in every conference in the North American Division to support church school education. While this may not be the right solution for every division, it is an example of the kind of thinking in which we need to engage. He showed that if the Pacific Union had done this in 2009, the plan would have generated an additional $8 million for K-12 Adventist education in that union. This proposal is fully consistent with regarding Christian education as an essential evangelistic ministry of the church. 2. College of the Ozarks/Free Tuition Model.32 The College of the Ozarks in Point Lookout, Missouri, is a Christian liberal-arts college with 1,500 students that provides free tuition. Instead of paying tuition, all students must work on campus, performing jobs ranging from dairy farming to custodial services, which covers the cost of their tuition. If students work 15 hours a week and two 40-hour weeks while on school breaks, the school guarantees to cover tuition expenses that exceed what is paid by other scholarships and grants. Seventy percent of college revenue comes from gifts and earnings from the school’s endowment, and a constituency that is committed to education. 3. The Phaedrus Initiative and Blended Learning.33 Urban Catholic schools, like many Adventist schools, have been facing declines in enrollment. They, too, have closed a large number of schools in the U.S. Seton Educational Partners developed the Phaedrus Initiative, which has successfully increased student enrollment, decreased staff, reduced per-pupil costs by 20 to 25 percent, and improved academic achievement. The Phaedrus Initiative uses a combination of blended learning and implementation of best practices in education. The blended-learning model combines computer-based learning in small groups with traditional classroom instruction. In this model, a classroom is divided into two groups and for the first half of the class period, a teacher works with half of the students, while the other half use classroom computers to get their instruction. For the second half of the class period, the students switch places: The students who began the class period with the teacher move to the computers, and those who used the computers work with the teacher. Both groups of students, then, have time with the teacher and with computer-aided instruction. The teacher thus is able to capitalize on the learning and the challenges faced by both groups of students. The combination of this approach, along with revamping their entire curriculum to include best practices in education and strategies that have proved successful, has led to a dramatic transformation of education. 4. School Change Models.34 Purpose Built Communities is a national model for revitalizing communities and changing schools. The first turnaround school was in East Lake Meadows, Atlanta, Georgia. In 1995, East Lake Meadows was a public housing project with high crime. Ninety percent of the residents in that housing project were a victim of a felony every year. The crime rate was 18 times higher than the national crime rate, and only 13 percent of adults were employed. The public school in the community was one of the worst performing schools in the entire state of Georgia. By 2016, compared to 1995, East Lake had a 90 percent reduction in violent crime, and all of the residents were in high-quality housing. While 50 percent of the residents still qualify for public housing, every able-bodied person in that community is employed. And they have developed an educational model that transformed the worst-performing school to the best-performing school in the state of Georgia through the use of project-based learning and teaching-and-learning strategies based on critical thinking, collaboration, creativity, innovation, and problem-solving. East Lake adopted a rigorous process that they use in hiring every new teacher. Every potential teacher is interviewed by two of their existing teachers, and has to teach a class as part of the interview process. They are not trying to identify the problems the teacher has in teaching the course, but the willingness of that teacher to receive feedback and improve his or her teaching practices. East Lake is also part of the New Tech Network, the leading design partner for comprehensive school change. New Tech uses a project-based learning platform and powerful professional development. Why couldn’t we, as Seventh-day Adventists, offer a model of innovative education? As Adventist educators, we must begin to think of ways to effectively fund denominational education and utilize proven school improvement models that will strengthen the quality of our schools. We know that God has a thousand ways to accomplish His objectives. Adventism started with sacrifice. We are told that as we face the end, there will be greater calls for sacrifice.36 We need to think of what our priorities are and make the sacrifices so that God’s work can be completed. Adventist schools have an enormous opportunity to become centers of excellence that specialize in ensuring academic success for students from low-income backgrounds. Our Adventist institutions have an opportunity to become national and global models for other schools in how to effectively nurture, support, and ensure academic excellence for students who come to us with less-than-optimal academic preparation. God has brought us to this moment. He has a plan for us to move forward, and I pray that we will commit our lives to making the education of His children our priority so that we can accomplish what He wants us to accomplish. Because, who knows, perhaps we have come to the kingdom for such a time as this. Adapted from a transcript of the presentation by David R. Williams at the 2016 LEAD Conference, held October 5-7 in Silver Spring, Maryland, U.S.A.
David R. Williams, PhD, MPH, MDiv, is the Florence Sprague Norman and Laura Smart Norman Professor of Public Health at the Harvard T. H. Chan School of Public Health and Professor of African and African American Studies and of Sociology at Harvard University, Boston, Massachusetts, U.S.A. 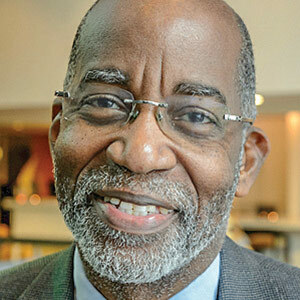 He has held appointments at Yale University in both Sociology and Public Health, and the University of Michigan, where he served as the Harold Cruse Collegiate Professor of Sociology, a Senior Research Scientist at the Institute of Social Research, and a Professor of Epidemiology in the School of Public Health. Dr. Williams is a graduate of the University of the Southern Caribbean, Andrews University, Loma Linda University, and the University of Michigan. The Inter-American Division (IAD) is comprised of Mexico, the Caribbean, Central America, and the five northernmost countries of South America. See https://www.adventist.org/en/world-church/inter-american/. Ephesians 3:20. Unless otherwise indicated, all Scripture quotations in this article are taken from the New International Version (NIV). Holy Bible, New International Version®, NIV® Copyright © 1973, 1978, 1984, 2011 by Biblica, Inc.® Used by permission. All rights reserved worldwide. Membership audits are processes for identifying and removing from membership lists the names of people who have died or left the church. For example, during the prior 15 years predating the recent round of thorough audits, for every 100 new members baptized, 48 people left the church. See “To Every Nation: A Report From the General Conference Secretary,” Adventist Review 2015 General Conference Bulletin 2 (July 2015) by G. T. Ng: http://www.adventistreview.org/1515-18. In one recent five-year period, 2010-2014, 6.2 million members were welcomed into the Seventh-day Adventist Church. During the same period, 3.7 million members left the church. Excluding death, the net loss rate for the quinquennium was 60 per 100 new members. 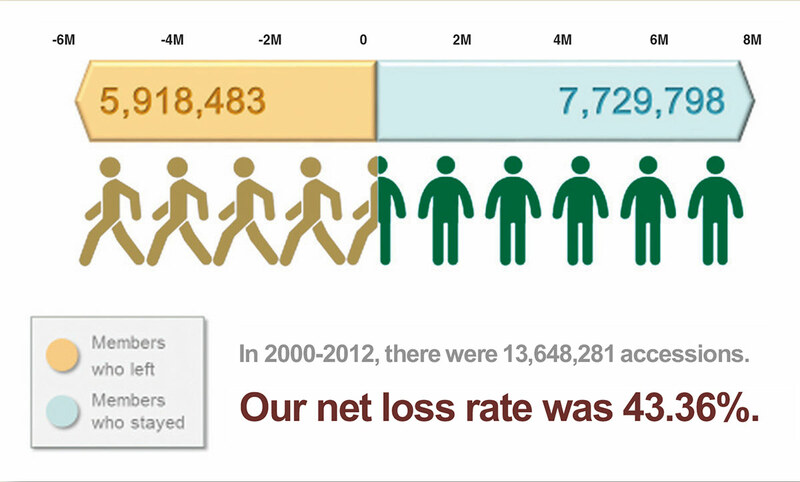 This stunningly high loss rate was revealed after membership audits. See “To Every Nation: A Report From the General Conference Secretary,” ibid. See presentation to the 2016 Annual Council by David Trim, Director of General Conference Archives, Statistics, and Research, titled “Data on Youth Retention, Non-retention, and Connectedness to the Church”: http://www.adventistresearch.org/sites/default/files/files/Annual%20Council%202016%20Presentation%20on%20Youth%20Retention%2C%20David%20Trim.pdf. This landmark North American Division study surveyed more than 1,500 baptized 15- and 16-year-olds representative of all NAD youth in big and small churches, small towns and big cities, public schools and Adventist schools, and all ethnic groups. See Roger L. Dudley, “Youth Religious Commitment Over Time: A Longitudinal Study of Retention,” Review of Religious Research 41:1 (Autumn 1999): 110-121. Ellen G. White, Education (Mountain View, Calif.: Pacific Press, 1903): 259. Ellen G. White, Home and Church School Manual (Healdsburg, Calif.: Healdsburg College Press, 1900): 23. 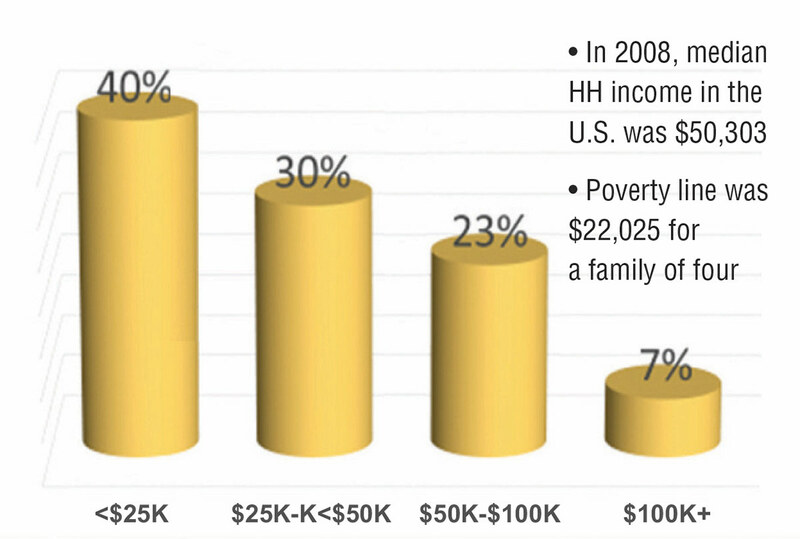 In 2008, 40 percent of NAD Adventist households had an annual income of less than $25,000; 30 percent had incomes of $25,000 to less than $50,000; 24 percent had incomes of $50,000 to $99,000; and seven percent had incomes greater than $100,000. See Demographic Survey of the Seventh-day Adventist Church in North America conducted by the Center for Creative Ministry for the NAD Secretariat (2008): http://www.creativeministry.org/article/1106/research/published-research-reports/nad-demographic-profile-2008. Ibid. ; Malcolm Bull and Keith Lockhart, Seeking a Sanctuary: Seventh-day Adventism and the American Dream (Bloomington, Ind. : Indiana University Press, 2006). Gary W. Evans, “The Environment of Childhood Poverty,” American Psychologist 59:2 (February/March 2004): 77-92. Josh Zumbrun, “SAT Scores and Income Inequality: How Wealthier Kids Rank Higher,” The Wall Street Journal (October 7, 2014): http://blogs.wsj.com/economics/2014/10/07/sat-scores-and-income-inequality-how-wealthier-kids-rank-higher/; FairTest, The National Center for Fair and Open Testing, “2014 SAT Score Trend Remains Flat; Test-Fixated School Policies Have Not Improved College Readiness” (October 7, 2014): http://www.fairtest.org/2014-sat-score-trend-remains-flat-testfixated-scho. In addition to the Scholastic Aptitude Test, many students also take the American College Testing (ACT) college-readiness assessment. Earlier studies have also shown a relationship between income and SAT/ACT scores. 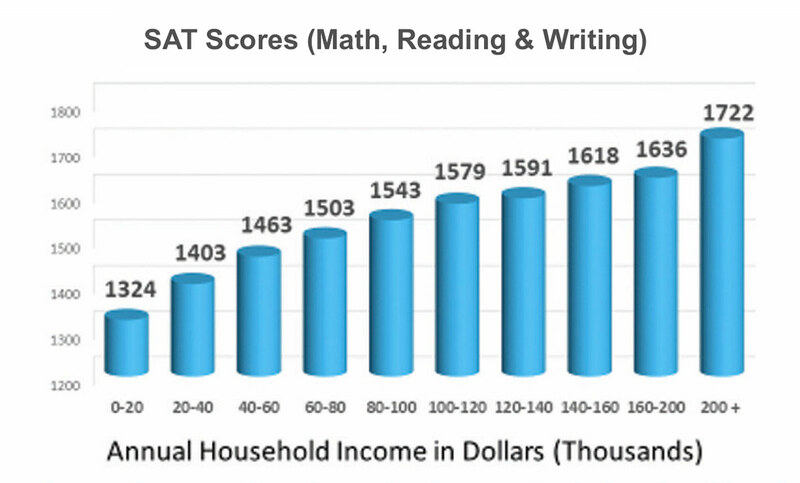 See Catherine Rampell’s “SAT Scores and Family Income,” (August 27, 2009): https://economix.blogs.nytimes.com/2009/08/27/sat-scores-and-family-income/?_r=2; and Rebecca Klein’s “If You Want a Good ACT Score, It Really, Really Helps to Be Rich” (July 2014): http://www.huffingtonpost.com/2014/07/18/act-score-family-income_n_5600065.html. Julie Berry Cullen, et al., “What Can be Done to Improve Struggling High Schools?” Journal of Economic Perspectives 27:2 (Spring 2013): 133-152. The Education Trust, “Yes We Can: Telling Truths and Dispelling Myths About Race and Education in America” (2006): https://edtrust.org/resource/yes-we-can-telling-truths-and-dispelling-myths-about-race-and-education-in-america/. Ellen G. White, The Desire of Ages (Mountain View, Calif.: Pacific Press, 1898): 72. __________, Gospel Workers (Washington, D.C.: Review and Herald, 1915): 29. Matthew 25:40. Scripture quoted from the New King James Version®. Copyright © 1982 by Thomas Nelson. Used by permission. All rights reserved. National Association of Secondary School Principals, Leadership Matters: What Research Says About the Importance of Principal Leadership (2013): http://www.naesp.org/sites/default/files/LeadershipMatters.pdf; Gregory F. Branch, Eric A. Hanushek, and Steven G. Rivkin, “School Leaders Matter: Measuring the Impact of Effective Principals,” Education Next 13:1 (Winter 2013): http://educationnext.org/school-leaders-matter/. Ellen G. White, Selected Messages, Book 1 (Washington, D.C.: Review and Herald, 1958): 128. Demographic Survey of the Seventh-day Adventist Church in North America. United States Census, 2014: https://www.census.gov/quickfacts/. 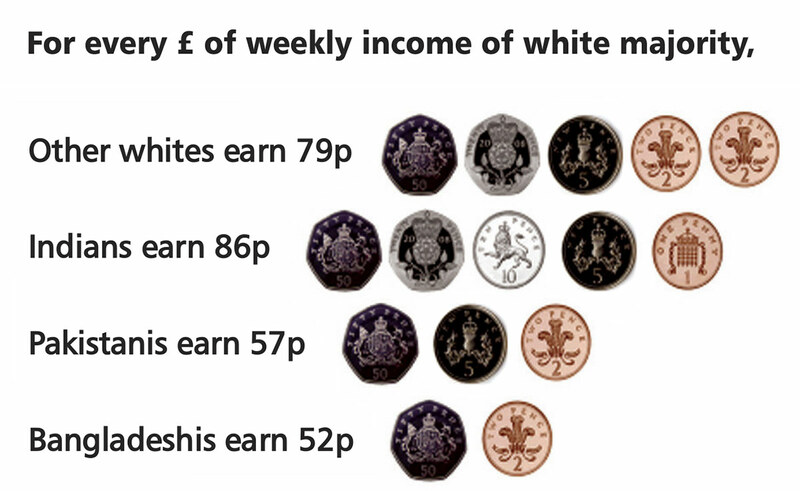 Paul Fisher and Alita Nandi, “Poverty Across Ethnic Groups Through Recession and Austerity,” The Joseph Rowntree Foundations (March 2015): https://www.jrf.org.uk/report/poverty-across-ethnic-groups-through-recession-and-austerity. White, The Desire of Ages, 330. Thambi Thomas, “The Five Percent Solution: Making the ‘Vision’ Viable Again”: https://crae.lasierra.edu/wp-content/uploads/sites/2/2015/10/thomas-thambi.pdf. See College of the Ozarks, “Tuition, Fees and Cost of Education Scholarship”: https://www.cofo.edu/Page/Admissions/Financial-Aid/Tuition-Fees-and-Cost-of-Education-Scholarship.362.html. As of 2015, the college endowment was $427.3 million. See Seton Education Partners Blended Learning Initiative: http://www.setonpartners.org/what-we-do/blended-learning-initiative/. See Purpose Built Communities: http://purposebuiltcommunities.org/ and New Tech Network: https://newtechnetwork.org/. For more information on Project-based Learning, see The Buck Institute: https://www.bie.org/. Ellen G. White, Testimonies for the Church, Volume 3 (Mountain View, Calif.: Pacific Press, 1875), 450.